Beginning readers will find a fun-filled learning experience through easy-to-follow text and colorful illustrations. 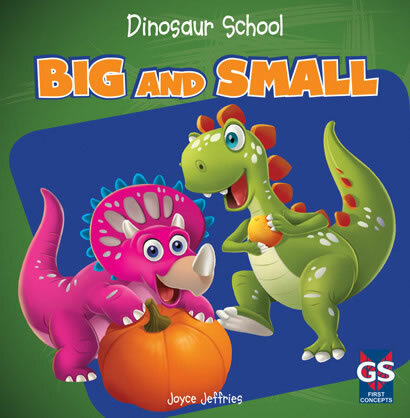 Charming illustrations, featuring dinosaurs interacting with a variety of objects and animals, show the difference between things that are big and those that are small--introducing students to the concept of comparing things by size. A concluding graphic organizer reinforces the concept, separating big and small objects through pictures and words in a way that is accessible for beginning readers. This engaging book also helps early learners develop vocabulary skills with its strong picture-text correlation.